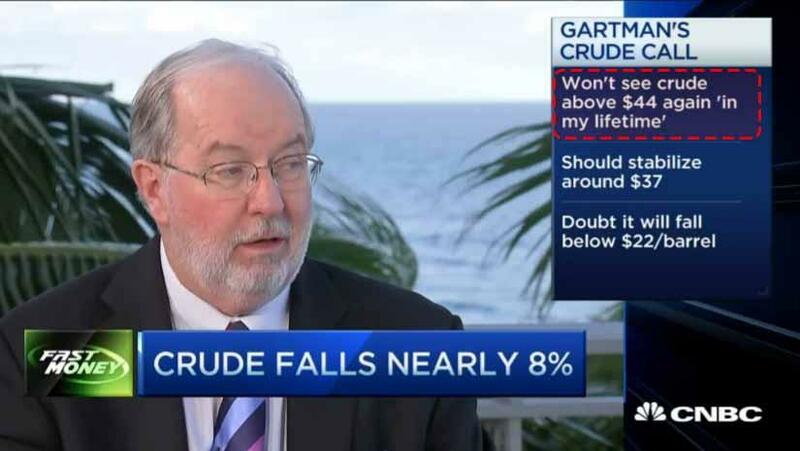 Gartman: "We Were Badly Wrong Regarding Crude Oil And We Were Stopped Out"
We wish to sell WTI and Brent Crude short this morning upon receipt of this commentary, predicated upon the massive narrowing of the backwardation in both and predicated of course upon the “reversals” suffered by both. We’ll have stops in tomorrow’s TGL, but for now we’ll risk $1.20/barrel from the current level, looking for $5-$7/barrel to the downside and one unit of each shall suffice. ... which in our opinion was enough to lead to perhaps the fastest stop out in Dennis Gartman reco history. CRUDE OIL PRICES HAVE SOARED AND WE WERE AND ARE BADLY WRONG, and we were made badly wrong yesterday when the EIA reported a somewhat surprising drop in crude oil inventories, but more importantly, we were made even more badly wrong when the EIA reported a much, much larger than expected decline in product inventories. Historically, this is a week when the aggregated inventory of crude and products rise marginally, and we do tend to pay heed to those seasonal tendencies, although we had our guesstimate for the aggregated sum rising half as much as the seasonal history would have suggested. Nonetheless, we missed by the proverbial mile and there is no reason to argue otherwise. Finally, as noted above we were badly wrong regarding crude oil and we were stopped out… thankfully. The EIA inventory report was starkly bullish when the seasonals called for something modestly bearish. This time the weakness in the term structure coupled with the “reversal” on the charts led us badly astray. We shall remember that. We’ve really no choice. 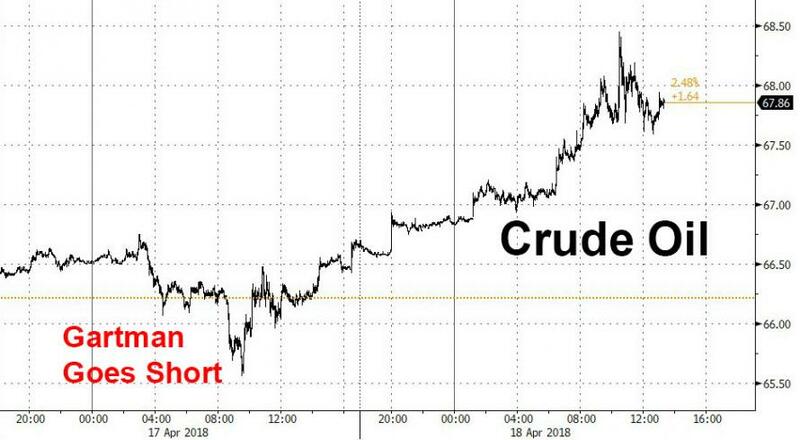 Two days ago, when we first revealed Gartman's oil short, we said "those who hurry can make a quick buck as Gartman is stopped out in the next day or two." Well, that's now over, and it's time to short oil again.